Todd O’Neill was named the grand prize winner of the NASH Next 2016 Challenge artist development competition last night (Oct. 25) at Nashville’s Mercy Lounge. The Cumulus Media talent contest featured live performances from the Top 10 national finalists and also American Idol Season 15 winner Trent Harmon. The Challenge was judged by a panel of celebrity judges including Scott Borchetta, Kix Brooks, Jay DeMarcus, and Danielle Bradbery. 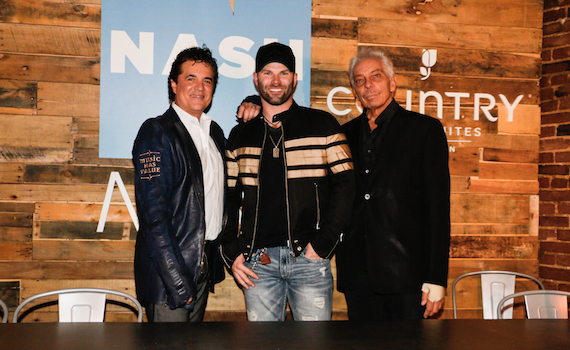 Louisiana native O’Neill will receive national airplay on Cumulus Media stations, a recording contract with Big Machine Label Group, and will have an original song produced by DeMarcus. As a surprise addition to the grand prize package, sponsor Country Inns & Suites presented O’Neill with a $5,000 check.